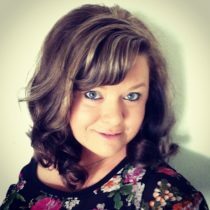 We are pleased to introduce our Machine Sales Coordinator, Caryn Showerman. Caryn became a member of the Fahey Machinery Company team in September of 2017 after relocating to the Portland Metro area from her home state of Michigan. Caryn also serves in two secondary roles as our Used Machine Refurbishing Specialist and Marketing Manager. As our Machine Sales Coordinator she works closely with the Sales team processing each order submitted then coordinating with client, vendor, rigging and freight companies. During this time Caryn provides updates while closely tracking the progress of each order to ensure all is accounted right up to delivery and installation. Caryn’s ability to develop positive supportive lasting relationships with both customer and vendor is much appreciated. Caryn has an Associates degree in Art as well as a Bachelors degree in Marketing and Sales and is considering her options on how best to pursue and obtain her Master’s degree in Business Administration. One of her greatest passions is art and she enjoys applying this skillset when refurbishing used machinery. Caryn has an eye for detail and it shows on each item she tackles. As the oldest daughter of Company President TJ Hatfield she represents the fifth generation of family that have worked in the metal fabrication/industrial machine industry either in sales and manufacturing or both. As a young girl some of Caryn’s early memories are being on the road making sales calls in Michigan with her father. Caryn’s goal is to follow in her father’s footsteps and to continue to learn and grow at Fahey Machinery Company. Caryn is extremely thankful for the opportunity to work not only along side her father but to work for such a strong and resilient company and cannot wait to see what the future holds for her here at Fahey Machinery.